The “whole story,” begins with the effect of the Civil War on a Kentucky tobacco plantation, and continues through six generations of Flint Hills cowboys. “Unraveling of ‘the story’ will be Saturday, March 1, at 1:30, for the Prairie Talk Ranching Heritage series, designed to share the culture of agriculture, at Pioneer Bluffs near Matfield Green,” according to Lynn Smith, executive director of Pioneer Bluffs. “This Prairie Talk will be on the same day as a tree pruning workshop at Pioneer Bluffs, which begins at 10 a.m.,” Smith noted. “Pioneer Bluffs, on the National Register of Historic Places, is the original homestead of the Rogler Ranch, and now a nonprofit organization with a mission to respect the land, preserve history, and engage community,” Smith related. “Those wishing to come early on March 1. are invited to lunch at noon prepared by Pioneer Bluffs volunteers. There is no charge for this Prairie Talk, the tree pruning workshop, or for lunch, but donations will be gratefully accepted,” Smith pointed out. Lunch reservations are requested and can be made by contacting Smith at 620-753-3484 or lynn@pioneerbluffs.org. Kansas Representative Tom Moxley, with his horse, Goldie, is a rancher southeast of Council Grove and will discuss the Moxley Ranch history Saturday, March 1, at 1:30, for the Prairie Talk Ranching Heritage series at Pioneer Bluffs near Matfield Green. The Moxley story of ranching heritage will be shared by Rep. Tom Moxley, who now operates the historic ranch, and also serves the 68th district in the Kansas House of Representatives serving the people of Morris and much of Dickinson counties. Tom Moxley’s great-grandparents made a courageous decision when they left home at Moxley Landing on the Cumberland River in Kentucky with their 11 children after the Civil They sought a peaceful home to raise cattle, crops, and children, and found that in the Flint Hills of Kansas in 1871. “In settling Kansas, our forbearers often left despair behind and saw great promise in a new life on the prairie,” Tom Moxley said. “The resilience, forthrightness, and concern for their neighbors were a survival trait of those times, and those qualities still show through in the current generation of ranchers. “As a result of the human and financial carnage of the Civil War, John and Sarah Moxley were looking for open country where farming did not require constant tree cutting to clear the fields and an area that would support cattle,” Tom contended. Jerry Moxley and one of his sons display three Hereford bulls at different ages of growth development in the front yard headquarters of the famed Moxley Hall Herefords, southeast of Council Grove. With a train of 14 wagons, lots of children, and a herd of cattle, they forded the Mississippi River at St. Louis and the Missouri River at Westport (Kansas City) and followed the Santa Fe Trail southwest to Council Grove, Kansas, arriving on December 7, 1871. The older boys rode horses, leading the oxen which pulled the wagons. The younger children pushed the cattle behind the train. Jeptha Forest Moxley, father of Jerry Moxley, was six when he made the memorable trip as a young cowboy. “This was the beginning of a long bond and respect for the Flint Hills grasslands by the Moxley family,” Lynn Smith pointed out. When the Moxleys first reached Council Grove, settlement was not possible as the area was still part of the Kansa (Kaw) Indian Reservation. While it was to be opened later for new immigrants, after the Kaws were moved to the Oklahoma Territories in 1873, no land was available for settlement near Council Grove when the Moxley homesteaders arrived. So, the family backtracked 30 miles east and purchased a homestead two miles west of Osage City. From there, the breadwinners could have a side job of quarrying flag stone for the rapidly growing city of Topeka, and mining coal for the Atchison, Topeka and Santa Fe Railroad. As a youth, Jeptha Moxley herded cattle in the largely unfenced tall grass range in a radius of 25 miles from the homestead. “It was unfenced because the area had few trees for posts, and there was no money for barbed wire,” Tom clarified. In a family photo taken in the 1950s, J.J. Jerry Moxley and his sons, Hall, Tom and George, are in front of the barn at their Moxley Hall Herefords, southeast of Council Grove. Jeptha’s formal education consisted of attending school in someone’s home for a couple of months in the dead of winter. As an adult, Jeptha made two runs in the Cherokee Strip Land Rushes. That Medford, Oklahoma, tract was wheat farmed with a team of horses from about 1911 to 1920, by Jeptha’s teenage sons, Harry and Jerry Moxley, who spent their Oklahoma summers living in a dugout and hunting wild game for food. “Their annual trips from Osage City, Kansas, to Medford, Oklahoma, took them through much of the Flint Hills, and as a result they each developed an abiding appreciation for the grasses that grow in the region,” Smith pointed out. Both brothers loved horses and gained plenty of experience studying the “South end of a North bound” horse as they drove teams to and from Oklahoma and in crop and hay fields. Harry, the oldest, went on to graduate from Kansas State Ag College (KSAC), which is now Kansas State University at Manhattan, in 1920 and later specialized in equine science as a professor at Michigan State University. Herefords graze a pasture in the front yard at Moxley Hall Herefords, Council Grove, which hosted hundreds of judging contests and field days more than five decades. Jerry graduated from KSAC in 1921. He showed cattle for prominent Hereford breeders, before beginning work as the first Extension agent in Brown County. That is where he met and married his lifelong partner, Edna Brown Moxley. 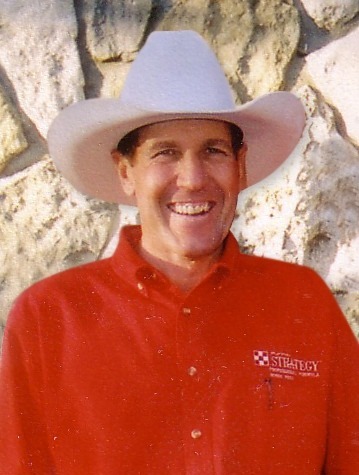 “Jerry Moxley’s career in Extension broadened when he became the Beef Cattle Extension Specialist for K-State. This led to a 20-year stint of traveling throughout Kansas explaining new research findings to eager-for-knowledge producers,” Smith said. “During the Dust Bowl, Jerry assisted many cattlemen in saving their cow herds by relocating them to the Flint Hills, where grass and water could be found even in the driest years,” according to a story produced by the Ranch Land Trust of Kansas, headquartered in Lawrence. Jerry Moxley’s first love was horses, especially Percheron Draft Horses. He bred and raised “Kansan,” a champion of many national shows and rated as the top American-bred Percheron in the 1930s. A painting of Jerry Moxley and his beloved Hereford herd grazing a Flint Hills pasture at Moxley Hall Herefords graced menu covers at the Outpost Café in Council Grove, the Golden Ox in Kansas City and other prominent eating places throughout the country and the world. In the 1930s, Jerry and Edna looked extensively for a permanent home for their Hereford cows and Percheron horses. They bought what is now known as Moxley Ranch near Council Grove at the bottom of the depression in 1935, from D.A. Lee, an elderly cattle feeder. Lee had built many of the ranch buildings that are still used today. He constructed a grain storage-grinding system in 1906, the main part of the horse barn in 1916 and rebuilt the house in 1918 after a fire destroyed the original home. “All of the timber for these buildings is walnut and oak grown on the ranch,” Tom Moxley claimed. Lee was a cattle feeder, but tough times in the 1930s with collapse of the fat cattle market from $12.80 per hundred in January of 1930, to $4.75 in 1933, led to forced sale of the ranch. “An agreement by Jerry Moxley to purchase the ranch was made on February 28, 1935, the day before it was to be foreclosed upon by the bank,” records show. For ten years after buying the ranch, Jerry Moxley continued to work for K-State and commuted to the ranch on weekends. In 1945, Moxley sold one Hereford bull calf for more than his annual salary, and realized he could afford his dream of fulltime ranching. Registered Hereford seedstock was the economic driver of what was known for decades as Moxley Hall Herefords. The ranch was named “Moxley Hall” by family friend and cattle breeder Dan Casement of Manhattan, who knew of a Moxley Hall estate in England. Herefords were the leading breed in the U.S. in this era, and Jerry Moxley was one of the nation’s outstanding Hereford breeders. His experience led him to judge every prominent Hereford cattle show in America. Each of Jerry and Edna’s four children, Lynn, Hall, Tom and George were given starts in the Hereford business through 4-H projects. Lynn’s life work was at the Veteran’s Administration in Washington, D.C., and George is a rheumatologist at the Medical College of Virginia in Richmond. Hall bought and developed a neighboring property that he operated until his death in 1984. In addition to maintaining the registered Hereford herd, Tom began to run stocker cattle in the 1970s. By 1981, the purebred herd had been sold, a decision that proved to be pivotal to surviving the “farm crisis,” as it was known in the 1980s. A rustic sign made cattlemen and travelers from around the world welcome at the renowned Moxley Hall Herefords, Council Grove. “Moxley Ranch has evolved to nearly all calves and yearlings that are run on Flint Hills tall grass pastures and in our back grounding yard,” Tom Moxley said. As is customary in the area, some of the pasture land cared for by Moxley and his employees is owned by outside investors, and the cattle by yet other owners. “Most of feeders raised on the ranch are aimed at two markets. The grass calves are bought from December through March, and mostly sold as feeders at about 800 pounds, for July or August delivery to a feed yard. “From September to November, calves are bought for feeding on corn silage, and are sold as feeders in December through February. The year-around approach of buying and selling helps even out the market gyrations,” Tom Moxley said. Virginia Moxley has retired as dean of the College of Human Ecology at Kansas State University. Tom and Virginia’s children are Amy Westfahl (Jerrod) and Angela Weltz (Andy). Amy and Jerrod have three children, Eden, Cade and Isaac who, when horseback, became the sixth generation of the Moxley family connected to the Flint Hills ranching Moxley legacy.